There are many sources for component datasheets on the internet, including the manufacturers, component suppliers and colleges/universities, so most datasheets are easy enough to find with a quick "Google". 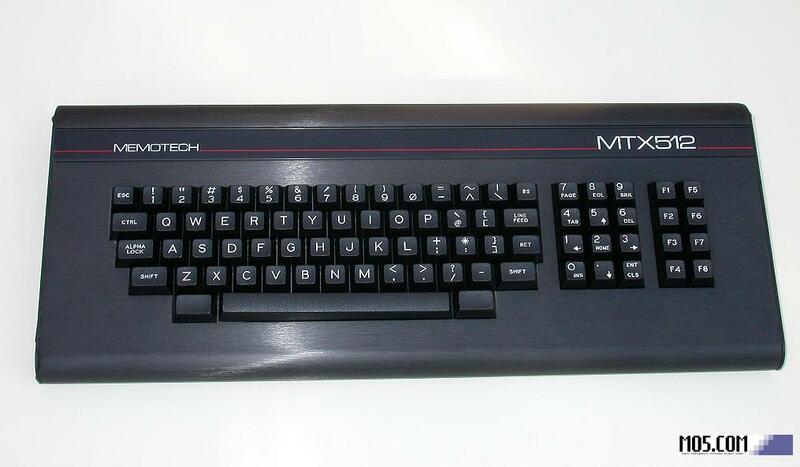 However, the components used in the Memotech range are now very old and mostly obsolete, so datasheets are sometimes very hard, if not impossible, to find. I have spent a lot of time trying to find datasheets for these obscure components, sometimes successfully and sometimes not. I have posted them here in case they are useful to others, if you have copies of any of the ones highlighted that I don't have, I would appreciate a copy or link to them. This page is a work in progress, I do have a few other datasheets that I will be adding shortly. Note: Most of the "alternative" components listed below are based on datasheets that I found when looking for those of the original Memotech suppliers. On comparing these datasheets with the originals, I believe them to be compatible, apart from a couple of exceptions, as indicated below, I have not actually tried them - if you can't find the original components, you might like to try the suggested alternatives - at your own risk of course :-) Components indicated like this, are not likely to be compatible with the MTX. The more significant components such as floppy disk controller and CRT controller ICs are discussed on various pages on the site. Other components are not specifically referenced, but this page will eventually be a placeholder for all ICs and major components used in the MTX series of computers. My interest in this data relates to its use in the Memotech MTX series of computers and related hardware, this means that for me, the most useful data sheets are from that period and are almost certainly not the most current, if you are looking for up to date information, the datasheets here will likely have been superseded. Most of this information comes from long defunct publications, I don't imagine that the copyright holders, are vaguely interested in these pages, but if anyone has issues with me making this information available, let me know and I will remove the offending item(s). 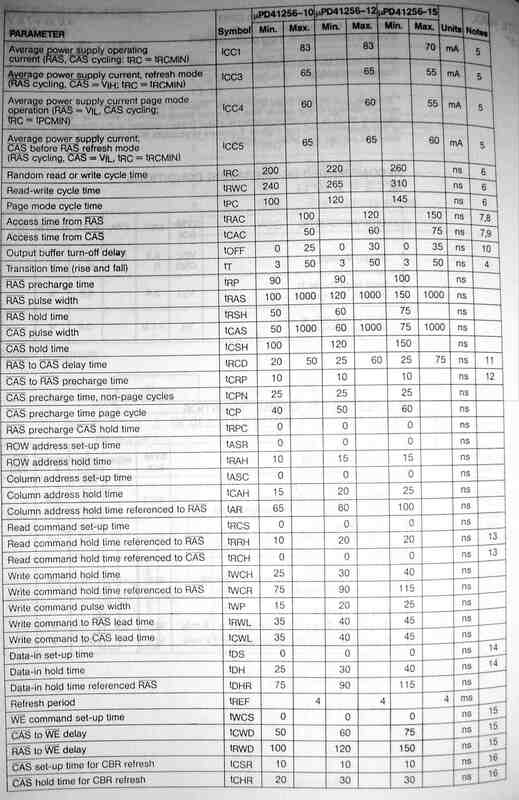 A word about quality : these datasheets come from a range of sources and while all are easily readable, some have rather better quality than others. If you have better copies than I have posted here, if you send me a copy, I will update the site. The MTX512S2 and other 256k MTX computer boards, do not use RAM from a single supplier like the 64k and 32k boards do. I know of at least three different suppliers, NEC, Hitachi and Texas Instruments. Whilst the specs that I have been able to find for the various DRAMs used would indicate that they are compatible, in practice, there seems to be some inconsistencies in the performance of one type of RAM with another in certain machines. It is not known why this should occur, but you **may** have a problem if replacing one manufacturer's RAM with another's. I mention this because whilst I have been successful in replacing the NEC D41256C-15 RAM in my non-Video Wall MTX512S2 with NEC D41256C-10 RAM, Andy has had problems using the same RAM to replace the (unknown) RAM in his MTX512S2.